All the parents are excited to capture their baby development stages and turn them into memorable moments for the lifetime. During the first year of your baby, you would want to grab your phone every time and capture the moments. 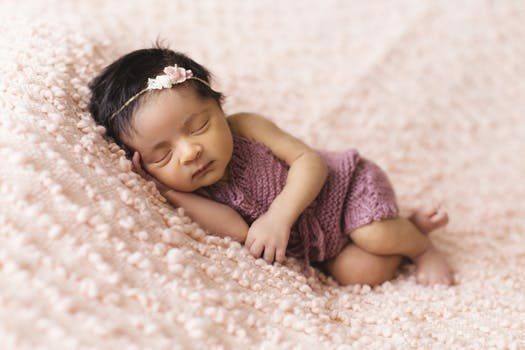 Let’s discuss a few baby development stages you have to look forward to from birth up to one year. Since birth you are trying to develop a bonding with your baby by feeding, burping, changing, and swaddling. But he will give you a little recognition with his smile around 2 months. Once you will take care of all the needs of your baby, he will feel secure and it will also encourage him to interact with other people. If a 3 months old baby doesn’t smile, it might be an early predictor of autism spectrum disorder. If a baby doesn’t make eye contact with you or doesn’t seem aware of people around him, you need to consult a developmental specialist immediately. During the first five years of life, about 85 percent of a child’s brain growth occurs. 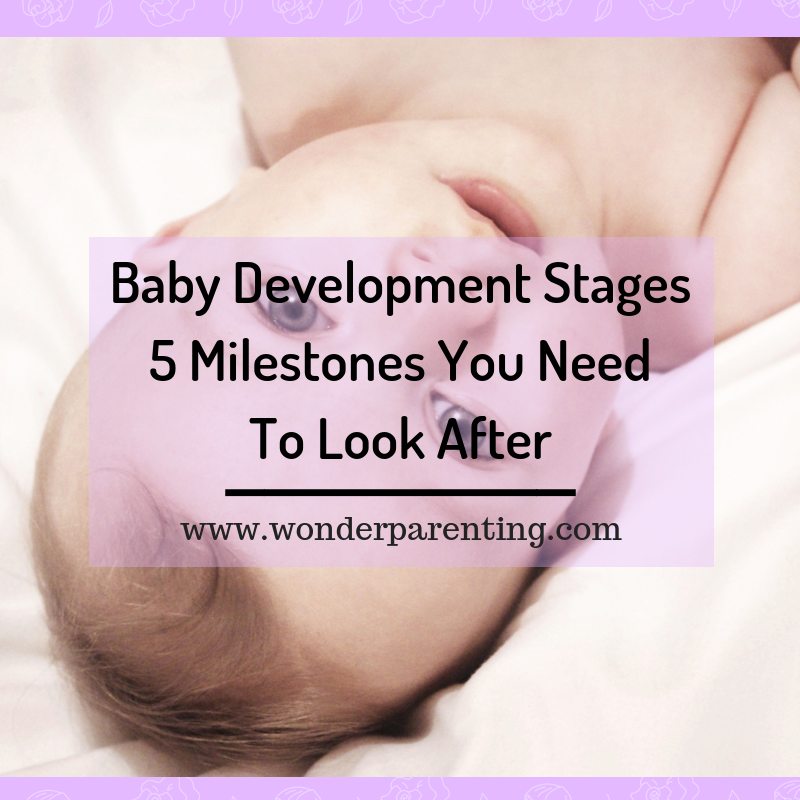 So, you need to take the action immediately according to the baby development stages. Between 4 and 5 months a baby usually reach this early motor milestone. By 6 months most can turn in both the directions. You need to build plenty of tummy time during the day to strengthen the muscles which are necessary to move. Gradually improve the tummy time and reach to at least 30 minutes at a time on his belly every day. Avoid leaving your baby for too long in a swing or a bouncy chair. It might hamper the speed to learn motor skills and build strength. You need to consult a physical therapist if your 6 months old baby doesn’t roll over yet. The therapist will show you the exercises to help your baby to practice rolling and get stronger. Most babies learn to crawl at 7 months and a few starts closer to their first birthday. It doesn’t matter in which style he is crawling, be it as a crab on elbows or normal crawling. What matters is that he is able to coordinate and use all his body muscles to get from one place to another through crawling. Encourage him to crawl by putting a toy just out of his reach. Your baby will stretch and rotate to grab it. It will help to strengthen his core and leg muscles. Many babies skip crawling and directly reach the other baby development stages such as walking or cruising. You need to consult a physical therapist if your baby does not move by 12 months. According to research, the areas of the brain that involves language are activated when your baby listens to your speech sounds. Later on, these sounds are converted into his words. By 4 to 6 months he will start babbling and speak first words closer to his birthday. Talk to your baby, sing and speak often or read to him. It will foster language and speech development and eventually boost your child’s vocabulary. You need not to worry if your child doesn’t speak his first word by the age of 1 year. According to the American Academy of Pediatrics, one out of five children learns to talk later than other kids. Your pediatrician is likely to refer you to a language and speech therapist. Once your baby learns to pull himself up to stand, he will soon totter towards you on his own. Most babies take their first steps by 1 year, a few start a little later. Walking requires muscle strength, coordination, balance, confidence, and experience. You can develop all these skills through playtime. Keep his toys at a distance or at different heights to encourage exploration and walking. Make sure to keep the surroundings safe. Your pediatrician might advise you to consult a physical therapist if your baby is not able to walk by 18 months. He will help you to look after the other baby development stages to get your baby moving. Please share with us your most memorable baby development stages with us in the comments section below.